The Villa is a continuous exploration, but there are some great things to do and see in the area to cater for everyone’s taste. 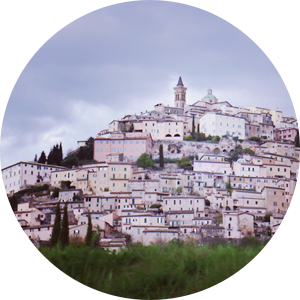 Every hill top has an old medieval town, castle or monastery to explore, so jump into your car and follow your nose. We’ve found a fantastic app called maps.me which works offline and will also show you places of interest in the area, so create your own adventure and take in all this culturally rich, and utterly photogenic countryside has to offer. Make sure you include Spoleto, Trevi, Spello and Assisi all great for a good day’s outing. 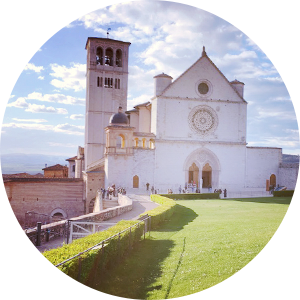 Walking around Assisi can be thirsty work, and if you skip the, we feel, obligatory Aperol Spritzer on the square, then visit the SAIO Vineyards sprawled invitingly on the slopes just below the impressive monastery on the hill. In summer we recommend the pic-nic in the Vineyard option for tasting these delicious wines. Montefalco, positioned high up in the hills, about 25 minutes away is a fabulous medieval town which boasts views over Perugia, Assisi and even as far as Spoleto. 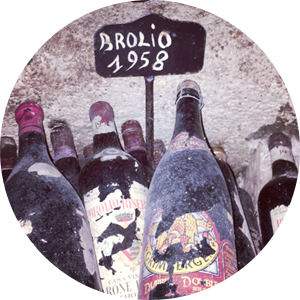 Famous for its Sagrantino wine its really worth a visit. 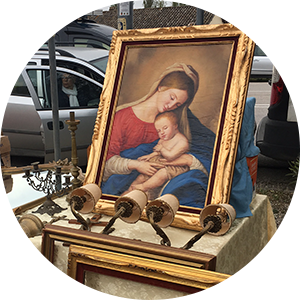 On the first Sunday of every month we can’t help ourselves, but indulge in looking for a treasure or two at the Antique market opposite the Fonti del Clitunno. On the second Sunday the market moves to Spoleto, where we have a few favourite stores to visit, not least of all the Cashmere shop at the top of the road leading to the 2nd century medieval amphitheatre. The town itself the perfect place to relax around the ponds. The cool spaces under the lush green trees are just waiting for your you to set up a picnic under them with your spread of cold meats, cheeses, breads and local wine, all while watching the graceful swans enjoying the ponds. The ideal place for the whole family to enjoy and under 10mins from the Villa. Spoleto with its aquaduct, imposing castle and the historical centre is a great place to stock up. For those looking for some physical exercise, well, the quietly winding hillside roads are just waiting for you to stroll along for as long as you wish. 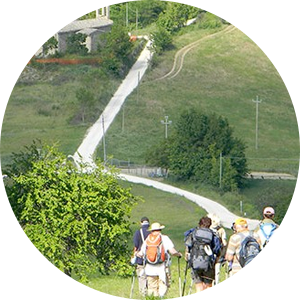 In fact the legendary Camino of St Francis of Assisi route passes right by the entrance to the Villa. This is a route which joins Florence to Rome, taking in Assisi and Spoleto along the way as part of the 550km route. 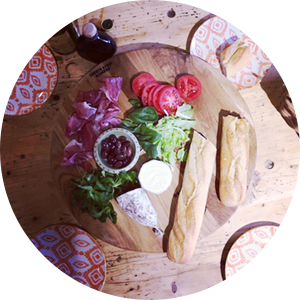 We suggest keeping to just 3 or 4 km to be back in time for a fresh bottle of wine and dinner! 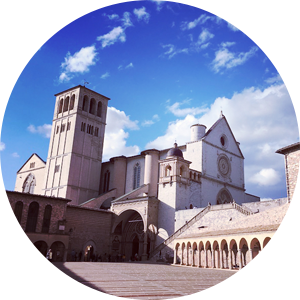 The Assisi Cathedral, and town itself, is a jewel of Umbria. The cathedral has very poignant history and is beautiful in it’s own right to visit – free of charge. A walk through the town and a drink on the square is a must in the evening or at night. Assisi also has the Metastasio Theatre showing everything from Shakespeare to classical concertos. 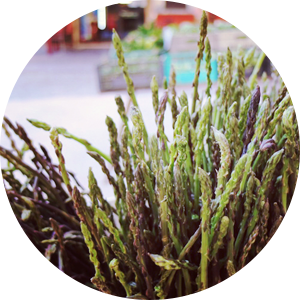 If you are staying in the Villa from the end of Feb to May, with the right weather, you can find your very own Wild Asparagus. This delicacy can be found as close as our very own road and parking at the top of the Villa. Look along the sides of the roads in all the olive groves, but take care of the prickly green bush which protects the asparagus from your foraging fingers. Have more to add? Send your suggestion through and we’ll add it to the site!